Faced with declining profit and image across America, Big Coal is courting the seemingly insatiable overseas energy markets. Nearly every deep water port in the Northwest is being pursued to export coal. The first two such projects are seeking permits for infrastructure that would allow close to 110 million tons of coal export annually-roughly equivalent to the annual carbon emissions of 40 million cars. As the market for coal in the US falls, Big Coal threatens to open the Northwest as a gateway for coal export. The town of Longview, WA, 60 miles north of Portland, is facing a proposal from Millennium Bulk Logistics (a subsidiary of Big Coal giants Ambre Energy and Arch Coal) to become the second largest coal export terminal in the world, exporting up to 80 million tons of coal annually. The Pacific Gateway terminal, located outside of Bellingham, WA is being pursued by Peabody Coal to export 54 million tons annually. Boardman, St. Helen’s and Coos Bay, Ore are all in some level of talks with coal companies. At this stage of climate chaos it is indefensible to invest any more money in nonrenewable fossil fuel infrastructure. Coal is second only to oil sands as a carbon-intensive fuel. Presently, coal is responsible for 80% of global warming emissions in the US(1). Coal companies have destroyed the American landscape through dangerous mining practices and labor violations. In the one year since Big Coal brought export ideas to the Northwest, they have been caught lying on permit applications acting without permits at all. Millennium unreported export plans for their Longview terminal by up to 75 million tones annually and Peabody illegally paved 9 acres of wetlands and trees to make way for their proposed 54 million ton facility. Before opening their doors, these companies have proven their toxicity to the communities they work in. Coal and other fossil fuel development is based on the practice and principle of externalizing costs, shoving them onto the general public and onto the natural world in the form of pollution, impacts to human health, and destruction of land and water resources. The coal exported through Northwest ports would be sourced from strip mines in the Powder River Basin of Montana and Wyoming and travel via open car rail through the Columbia River gorge. Well water pollution is already an issue that forces many farmers in the Powder River Basin out of their rural lifestyles. 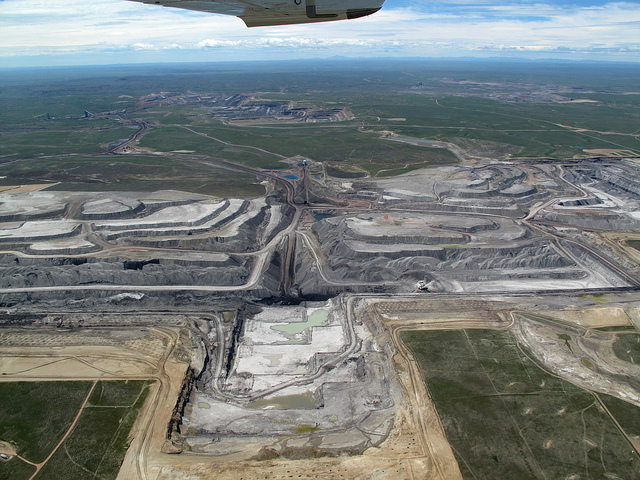 An increase in demand for coal resulting from coal export terminals would further the environmental damage in the Powder River Basin where over 37,000 acres have already been strip-mined and abandoned by Big Coal. Dozens of towns between the Powder River Basin and the coal export terminal are at risk of becoming “dirty coal train communities.” Each of the open air coal cars on the mile long trains proposed to transport coal to the export terminals releases 500 pounds of coal into the air, land and water during transit. Current export proposals would require up to 50 coal trains each day. Additionally, the small towns on the train routes are ill-equipped to deal with such high volume train traffic and have no contingency plans for the hospitals, schools and businesses that would be blocked by the heavy rail traffic. 1. Karl, T.R., et al., eds., 2009. “Global Climate Change Impacts in the United States.” Cambridge University Press, pp. 14-15. http://downloads.globalchange.gov/usimpacts/pdfs/climate-impacts-report.pdf.